Food obsessions can come out nowhere. This one, which has taken over my recipe experiments for the past couple of weeks, came from my longtime online friend, santos of The Scent of Green Bananas. She tweeted one day a few weeks ago something about makiing rillettes from Chinese braised pork belly and for some reason that just caught hold of my imagination. Rillettes, incidentally, is a French dish. It's a soft, spreadable paté consisting of shredded meat and fat. 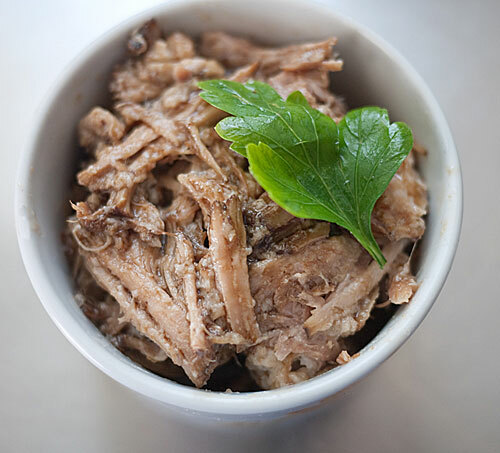 The most famouse kind of rillettes is the rillettes de porc, a speciality of the Loire region of France. The idea of an Asian flavored rillettes struck a chord with me. Instead of a Chinese recipe though, I wanted to try it with rafute. Rafute (pronounced ra-foo-teh-) is a dish that comes from Okinawa, the southernmost part of Japan. Okinawan cuisine is famous for its healthiness, and the residents have the longest life expectancy in the world. That does not mean that they are all raw food enthusiasts or vegans. As a matter of fact, the main meat of Okinawan cuisine is pork, and rafute, a slow cooked pork belly dish, is the most famous one. Rafute is extremely easy to make, with just a few precautions. It does take time though - at least 4 hours, if not more. Your personal intervention in the process of transforming pork belly to melting, tender pork morsels is minimal. Here, by the way, is a hunk of pork belly. Don't be afraid, it's what bacon is made of. Like all pork belly recipes, rafute is very, very rich. Typically someone has maybe 2 or 3 cubes of it at most at a meal, with rice and vegetables and such. Rafute is great with rice (or noodles) as long as it's hot, so that the fat layers can melt into the starch, making a gorgeous sauce. Cold rafute, on the hand, is kind of overwhelming. I have never been fond of large chunks of cold fat. Therefore, rafute rillettes makes a whole lot of sense. The fat gets nicely dispersed with the shredded meat, forming a gorgeous spread for bread or crackers, a paste to turn into sauce, and so on. Step 1: Parboiling the pork. If your belly piece came with the skin still attached, inspect it for any hairy bits or such, and trim those off. Put the pork belly in a pot, add enough water to come up to about 2 cm / 1 inch above the pork, and add 1/2 cup of awamori or sake. Bring to a boil, lower the heat to a slow simmer, and cook for an hour. Take the pork out and let cool. You may wash any excess fat and scum off the surface if you wish. Throw away the parboiling water (it will be very fatty, so beware of it causing any plumbing issues in your drain). 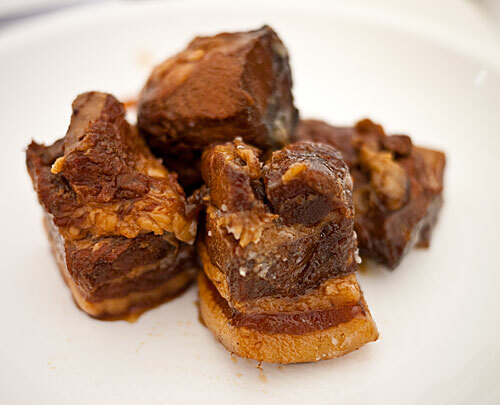 Let the pork belly cool, then cut off the skin and some of the outer fat, and cut into cubes. Wash out your pot. Step 2: Simmering the pork. Return the washed out pot to the stovetop, and add the rest of the awamori or sake, ginger, and dashi, including the cubed pork. If the liquid does not cover the meat, add more dashi or plain water. Bring up to a boil then lower the heat to a simmer. Add the sugar. Put a piece of kitchen parchment paper or aluminum foil with a couple of holes punched in it on top of the cooking liquid, to ensure even cooking. (Or use your otoshibuta (drop lid) if you have one.) Simmer for an hour. Add the soy sauce, and simmer for another hour or more (I start checking for tenderness after an hour), until the pork is so tender you can cut it with a pair of chopsticks. Let cool in the cooking liquid. Serve with a bit of the cooking liquid drizzled over. If freezing, freeze in a little of the cooking liquid. It keeps in the refrigerator for a few days, in the freezer for a month. The procedure is the same as for Classic Rafute. Put the tea bag in for about 2 minutes at the start of the simmering process, then take it out. The chili peppers are added along with the ginger into the simmer liquid. The lower sugar rafute works better for this, although either version can be used. Simply shred up the pork as fine as you can with a fork and your hands. Don't use a food processor, since you want shredded meat, not finely chopped meat goo. Mix the shredded up meat well with the fat and a few spoonfuls of the cooking liquid. Use as a sandwich spread and so on. A little of this goes a very long way. (Bento? Stay tuned...) It keeps in the refrigerator for a few days, in the freezer for a month. Submitted by maki on 2011-02-16 11:37. Whoa! This is sure not a recipe for vegetarians!! But it doesn't matter. I'm generally interested in what people cook and eat and their attitudes toward food and I particularly like the way you write about food in your blogs. I'm working my way through the "Oishinbo" collections and find them endlessly interesting, instructive, and amusing. Thank you for the post, rafute was one of my favourite things to eat when I went to Okinawa....thinking about it now brings back good memories! Thanks for another great recipe - can't wait to try the tea and spice version! I also appreciate the tip about using parchment paper or foil as a drop-lid/otoshibuta. There's a few more recipes I'll be able to try now! I made this yesterday except I put it in chinese clay pot in the Traeger and put it on at 225f for ten hours. I'm also very happy to see Okinawan recipes on the internet. I lived there for several years as child while my dad was stationed at Kadena and my mother at Lester and I have lots of great memories of the food. Goya Chanpuru, yakitori, and taco rice were easy to find recipes for but several things have been harder to track down. One of the things that frustrates me most is Soki Soba. The version I remember was made with pork ribs cooked very much like your rafute recipe. My sisters and I have tried for years to get the meat right and we think we are very close, now all we need to do is figure out the broth and we will be all set. Any ideas? 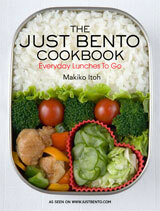 Are there cookbooks that focus on Okinawan cooking? My favorite. The only problem is I can eat heart-stoppingly large quantities of rafute. One traditional way to make it is to first put the pork belly under a broiler to char off the hair and give the top fat layer a bit of a browning. Gives it a little extra flavor too, but it is pretty much braised out by the time it is finished. Not too sure about the other recipe, but I'll give it a go. It is pork, so it has to be good. If I could send my spiraling fist over the internet through your screen and into your mouth, I would. In step 1 you recommend throwing out fatty bacon liquid down the drain. Plumbing problems aside, that is the most wasteful use of perhaps one of the tastiest ingredients on the face of earth. Take that fatty liquid and boil it down until you've removed all the liquid content and store it in the fridge, or put the fatty liquid into the fridge and simply remove that hardened lard by hand. That fat will add amazing flavour to just about any dish. Its priceless when used in baked goods, or as a substitute for oil in a great many dishes. Ever had bacon fat fried breakfast potatoes? Or bacon fat fat fried grilled cheese? Or gnochi fried in bacon fat? Perogies? I could go on; they sky is the limit. This made me laugh! Yes, I have to agree--if you can save the bacon fat, do it. It's amazing stuff for cooking; tastes great and browns things nicely. Amazing for potatoes, as you mentioned. I love to pan-fry fish in it, especially white fish fillets that don't have a whole lot of character on their own. If it were actually bacon fat, I might agree with you. 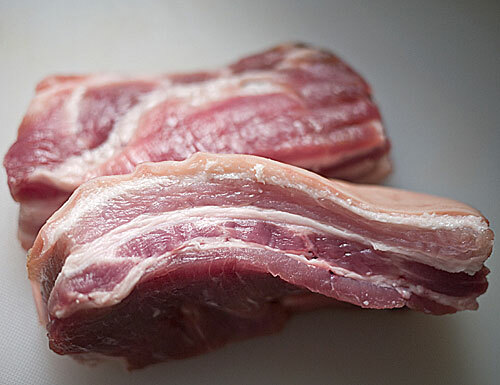 However, what Maki advocates throwing out is parboiling liquid (including fat) used on a piece of plain, untreated pork belly... NOT a slab of bacon. I doubt the fat saved from that is something most people would call "one of the tastiest ingredients on the face of earth". I do agree that putting that liquid in the fridge and then removing the hardened fat when cooled will probably be a lot easier on the drainpipe, though. What does literally means "rafute"? What is the origin of this word? I immediately figured you were going in the direction of AburaMiso when you mentioned Okinawa and pork belly. That is my comfort food whenever I get the "hungries~! ".